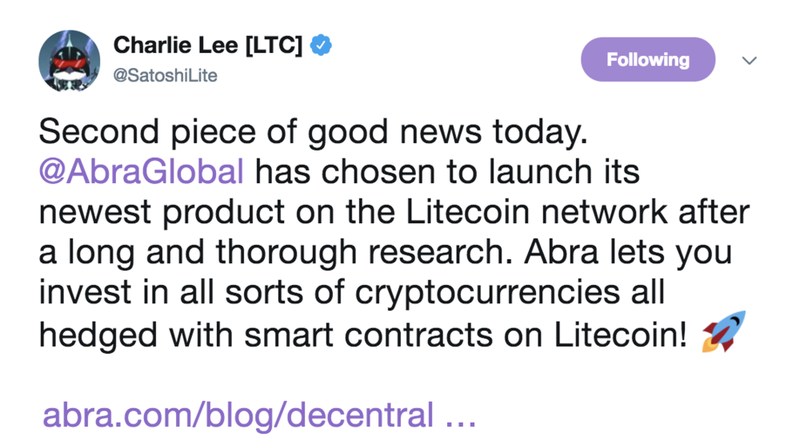 On Thursday March 15, 2018, Abra announced that it would be using Litecoin as the primary asset class on their mobile exchange. The significance of this development should not be understated. However, it was lost to the Litecoin community because many are not familiar with how Abra works exactly. To be honest, I didn't either! So I started reading up on their website www.abra.com and was completely blown away by what I found. FYI, if you want to go indepth behind Abra, listen to this podcast I did with Bill Barhydt. Abra is a non-custodial decentralized exchange. That means they don't own your private keys or hold your coins. When you log into the app, they give you seedkeys which you MUST write down. 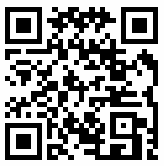 This is the first half of the 2-2 multisig that you create. In other words, you co-own the address that you deposit your Litecoin into. Abra is the 2nd partner of the 2-2 multisig. When you deposit LTC and trade for a coin, you sign your 1/2 of the transaction to Abra. Your LTC is then locked into the wallet. This method of trading ensures that you still hold the private keys in your mobile wallet. Unlike centralized exchanges like Coinbase, Abra doesn't own possessions and is not a custodian of your Litecoin. When you trade for a cryptocurrency, your LTC purchases a specific number of coins via a smart contract. When you cash out, they sign their half of the transaction to receive the LTC you sent and then pay you out your gains or your losses. If the cryptocurrency you bought grew in price, Abra will cover the spread by sending you the total amount of Litecoin the cryptocurrency is worth. Here's the slightly confusing part. Abra has made it possible to trade without actually owning many of the cryptocurrencies on their platform. If you buy VTC on Abra, you're not actually buying VTC. Instead, your buying a representation of VTC. They call this a "synthetic currency" and it only exists in their platform. The unique attribute of this synthetic currency is that it follows the price of the respective coin on other exchanges. So the VTC synthetic currency will follow the aggregated price of VTC on exchanges. If VTC goes up in value, you can cash out and they will pay you the LTC you are owed. They've also created synthetic currencies for various fiat as well. This is the most interesting part for me because it rightfully leverages government and global economies in a similar way derivative markets do. You may not realize it, but different fiat currencies actually fluctuate in value comparatively to other fiat currencies. If you buy a synthetic fiat currency, you are hoping that the economies that support that currency will do well. There are currently 3 on-ramps to Abra: 1. Bitcoin 2. USD 3. PHP. In other words, they wanted something similar to BTC; probably cuz it's easier to port. This is another example of why @SatoshiLite's vision of LTC being BTC's younger brother has worked out advantageously. This is huge because now an entire exchange is built on top of Litecoin and is one of the first smart-contract applications we've seen for LTC outside of multisigs. Instead of signing up for exchanges, you can now just download an app and go through minimal KYC which further increases Litecoin's accessibility. Increase usage because you need LTC to use their exchange. Increase scarcity because LTC will be locked up. Increase adoption by putting Litecoin in the faces of all their users. For some perspective, Abra's exchange has been using this protocol to manage over tens of millions of dollars in funds. Sure it's no Amazon. But it is definitely a huge win as it sets a precedent for other blockchain based companies to securely build smart contracts and applications on top of Litecoin. In short, this is just the beginning. *If you appreciated this article, make sure to donate at the addresses below!